K-Life Water Softener crystals are the healthier alternative to salt regenerants…it adds potassium to drinking water, and is better for the environment! 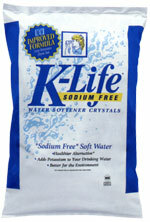 K-Life is potassium chloride, which is a naturally occurring mineral and has been used for years as a salt alternative. 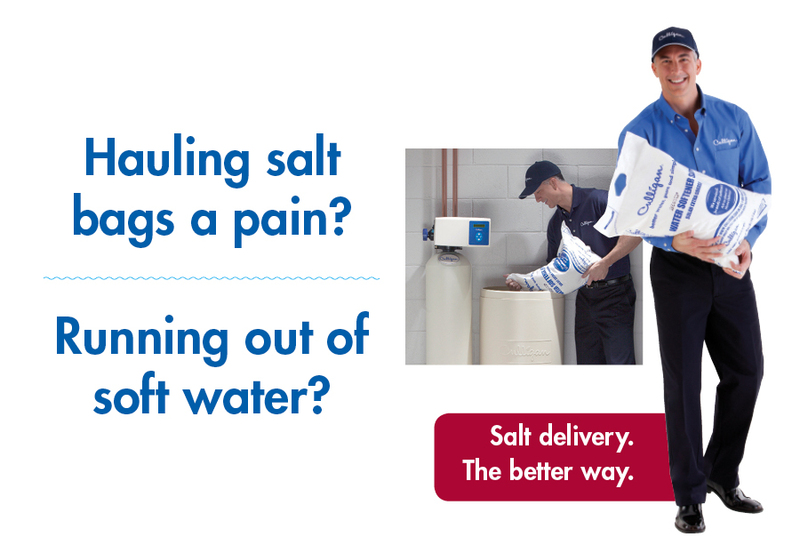 K-Life and regular softener salt both soften water by a process called ion exchange, which means that as the water softener removes hardness and impurities from the water, it must give something back to the softened water. 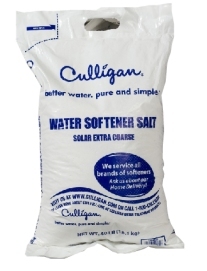 With regular softener salt, sodium is added to soften the water. The harder the water, the more sodium is added. With K-Life the same exchange process takes place, except K-Life adds potassium instead of sodium. This K-Life Potassium Chloride Sodium Free Water Softener Crystals is one of many top quality items in our Water Softener Salt department. Helps fight corrosion to exposed metal. Only $9.50 for a 50 pound bag! Pallet rates are also available. Order Now. Maintains performance of all softeners. 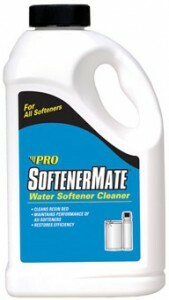 Pro Softener Mate softener cleaner is a unique blend of chemicals formulated to remove limited iron, manganese, silt, metal particles and organic compounds that cause softener inefficiencies. Regular use of Softener Mate softener cleaner as a maintenance program will restore the softener back to peak efficiency and maintain the life of the unit. Maintains performance of softeners on iron bearing water. Rust Out softener rust remover chemically removes iron and rust build-up that coats the resin beds and fouls the softener. This iron build-up is not totally removed during normal regeneration of a water softener. 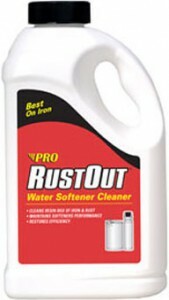 Using Rust Out softener rust remover in a water softener will eliminate rust and foreign matter from the resin bed. This increases the life of the softener and reduces rust staining on household fixtures and other surfaces. Use the softener rust remover regularly as preventative maintenance to ensure the softening and recharging efficiency of the softener’s resin bed.